The research was conducted between 13 September and 10 October. The profile of respondents included representatives from all areas of the country, with Auckland representing 47%, Wellington 11%, Rest of the North Island 27%, Christchurch 10% and Rest of South Island 5%. The 2014 Exporters Survey was in the field between August and October 2014. There were 124 responses with the majority identifying themselves as manufacturers (69%) with the second biggest category being from the Agriculture, Forestry or Fishing sectors, 11%. 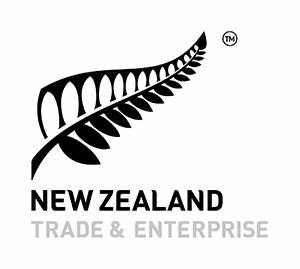 Here are some great examples of New Zealand firms winning NZ Government tenders and going on to succeed overseas, with the help of the Better by Procurement team at New Zealand Trade & Enterprise (NZTE). Built up from surveys of over 600 policy makers, business people and academics from around the Asia-Pacific region, this is always a highly anticipated tool. The latest ExportNZ Survey shows exporters are confident of good growth and increasing orders in overseas markets for 2014, despite battling against a currency that is higher than most would wish for. NZ Trade & Enterprise presentation outlining New Zealand to prospective trading partners. A Mount Maunganui based international full service market research consultancy that offers clients market research services focussed on unlocking business knowledge to improve business performance and profitability. We have significant experience within both the private and public sectors in New Zealand and Australia with large national and international organisations. The growing importance of sustainability as a market driver in some of New Zealand‟s food and beverage export markets has led the Ministry of Foreign Affairs and Trade (MFAT) and New Zealand Trade and Enterprise (NZTE) to establish a quarterly reporting system for the sector, highlighting trends and issues in key markets.